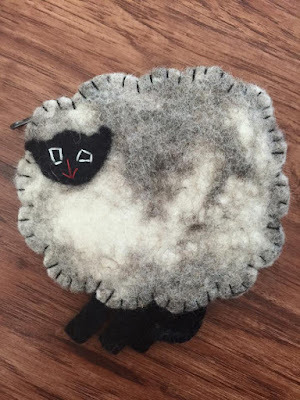 A Sampling Bee: Organic Handmade Wool Dryer Balls Review & Giveaway! 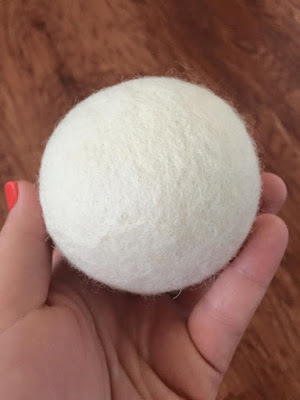 Organic Handmade Wool Dryer Balls Review & Giveaway! Hello! Does anyone use Dryer Balls in their Dryer? Well, today, I share my experience with them. With you! They are from Lullaby Baby and they are spectacular! Each dryer ball is handmade using 100% Premium New Zealand Wool. They are eco-friendly, hypo-allergenic and fragrant free. The dryer balls contain no fillers or additives. They are 100% natural. They contain NO chemicals or toxins so you will not have any problems with skin irritation. They work hard to soften your fabrics. Which makes your fabrics gentle enough for baby's skin. They help eliminate chemical buildup in your dryer, dryer ducts and on your clothes. They will last you for at least 1,000 laundry loads. 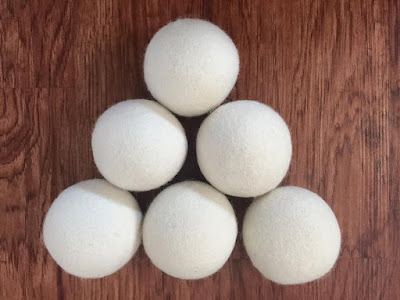 Skip the dryer sheets and upgrade to dryer balls! Wooly Naturals wood dryer balls soak up moisture, up to 30% of their weight in water, which leads to a quicker drying time for your laundry. Which not only saves on energy costs, but saves you time as well. As your laundry dries, the dryer balls fluff and evenly distribute humidity in the dryer. Which eliminates wrinkles, reduces static cling and provides a softer feel to your fabrics. If balls start to pill, it means that they are working. Gently pull pilling off. Add a few drops of your favorite essential oil to balls, allow oil to absorb for 5 minutes then toss into dryer on low heat for 10 minutes. If desired. At first I was unsure about these dryer balls. I said to myself how could they possibly cut down of drying time. Well, they do. They work great! You cannot tell that they are in the dryer. They do not bang around in your dryer. They cut at least 15-20 minutes, per load, off of my laundry's drying time. My clothes are less wrinkled and they come out of the dryer softer and cleaner smelling. I have yet to try using essential oil on the dryer balls. But I plan to in the future. I noticed less pilling on my tops and blankets. I love how the dryer balls are all natural. It's nice not to have to worry about allergic reactions to dryer sheets. Dryer sheets tend to be harsh. These dryer balls are not.